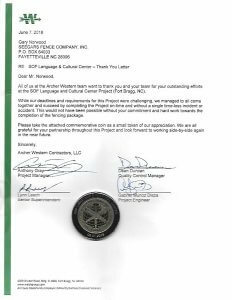 Seegars Fence company is located near the military base, Fort Bragg, in Fayetteville. 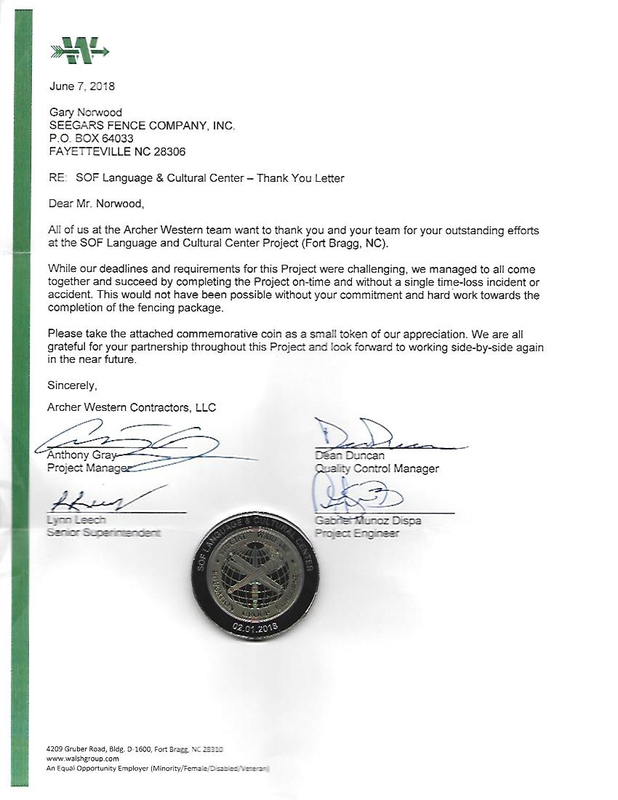 Over time Seegars Fence Company has developed a strong relationship and reputation of quality work with the local and national government, private contractors, and a number of military families that reside in and around the base. Are you interested in… updating your patio or other outdoor living space? 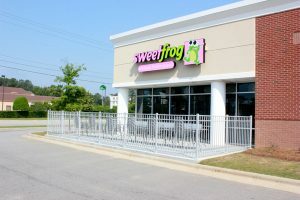 Custom aluminum fencing for your commercial property? A dog kennel for your backyard? 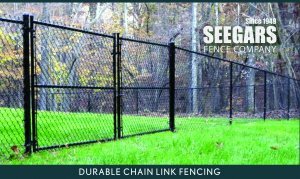 Whatever your NC or SC fencing needs, Seegars is here to deliver only the very best in quality, value, and service. Demand the best with Seegars Fence Company! Become a valued Seegars Fence Company customer today! Contact our Fayetteville fencing office at (910) 424-8080 or fill out the form to the right to request a free service quote — and be sure to include any pictures that inspire you from our fence installation gallery below. Athletic fencing, dumpster enclosures — at Seegars, we’ve done it all!